"Nozomi" means "hope" in Japanese. 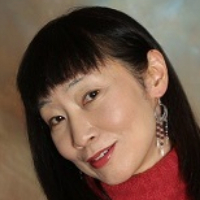 I am originally from Japan and have 19 years of experience in helping people heal themselves and move forward. I have a master's degree in Art Therapy from New York University. I have been trained in art therapy, family therapy, mental health counseling/psychotherapy, substance abuse counseling, NLP (Neuro-Linguistic Programming), hypnotherapy, spiritual coaching, EMDR (Eye Movement Desensitization Reprocessing), energy healing, and shamanism. I am a licensed mental health counselor in the state of Washington. I have a lot of experience working with clients who have gone through trauma such as childhood emotional/physical/sexual abuse, neglect, domestic violence, abusive relationships, religious/spiritual trauma, etc. I have also worked with many people struggling with interpersonal issues such as divorce, co-dependency, and difficulties involving gender, sexual orientation, and alternative lifestyles. I see life challenges from a spiritual perspective. I have been practicing meditation for more than 16 years to improve self-awareness and mindfulness. I take care of myself very well physically, emotionally, and spiritually and encourage my clients to do the same. I view therapy as a self-discovery process and a spiritual journey. To me, healing is the process of learning about oneself. When someone becomes aware of something about themselves that has been causing a lot of distress, the person gains self-awareness and personal power. They can start making different kinds of choices or start to see things from different perspectives. Their world starts changing. It is a transforming, spiritual experience. My approach is holistic and eclectic. I have been using Psychodynamic approaches (especially Object Relations Theories), CBT, Mindfulness, EMDR, Humanistic, Solution-Focused, Spiritual (not religious), Motivational Interviewing, Relapse Prevention, NLP (Neuro-Linguistic Programming), Trauma Informed Care, and Energy Work. Nozomi has changed my life for the better. Thanks to her I have healed so much of myself and now have the skillset and capability to regulate my emotions and mindset. I was extremely anxious and depressed when I first started working with Nozomi, and today I feel healthy, whole and full of positive energy. You would be SO lucky to work with her. She is great. Very understanding. Listens and gives great advice. I really feel that Nozomi listens to me and understands the concerns I have for my emotional/mental/spiritual health. Nozomi has been there for me during very intense moments of my life, and supported me in making very tough and crucial decisions. I am forever grateful for her, she helped me open my eyes and feel confident about what I have done. She's pretty amazing, and she always has a good way of putting things which makes my head get itself a little less tangled. Nozomi has been a great listener and always has recommendations that I would have never considered. She has been fantastic with her responses, understanding in her engagement and open minded. She has a reserve of mental health and spiritual understanding, which allows her to asses every situation from a practical but compassionate perspective. Nozomi is very knowledgeable, kind, and patient. I look forward to continuing working with her. Nozomi is so friendly and kind. She's easy to talk to, and wonderful at suggesting techniques and methods for improving mental health. I feel like I was paired up with the perfect person finding Nozomi. I never feel judged. Her response time is excellent (even when mine isn't) and she's available for calls or chats regularly. Nozomi has been amazing. She is kind, thoughtful, understanding, and seems to really get where I'm coming from. She has lots of ideas for things we can try to heal some very old wounds. I'm feeling hopeful! Would you like to write a review for Nozomi Kitagawa? We'd appreciate if you can spend a couple of minutes to write a short review for Nozomi Kitagawa (MA, LMHC). This review would be shared with Nozomi Kitagawa. It may also be posted in our website or in Nozomi Kitagawa's profile but it would be anonymous and your identity would be kept completely confidential.